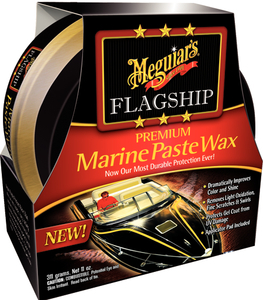 Dramatically enriches color and shine of fiberglass and gel coat surfaces. Effective in removing light oxidation and dullness, restoring gloss and adding protection from UV damage. *Use wax only after the surface has been cleaned and restored to a "like new" or "average" finish.